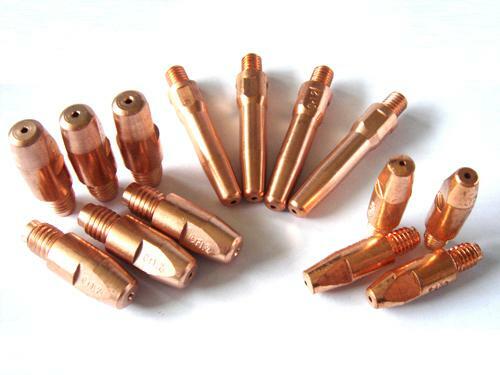 Product categories of Welding Contact Tip, we are specialized manufacturers from China, Welding Contact Tip, M6*25 Contact Tips suppliers/factory, wholesale high-quality products of M6*45 Contact Tips R & D and manufacturing, we have the perfect after-sales service and technical support. Look forward to your cooperation! The Welding Contact Tip is also the important parts in the MIG Welding Torch. We have contact tips compatible for BZL,PANA,BND,TWC,TRE etc. Another significant things is the contact tip is made of two differernt material with different Durable life and prices .The E-Cu and the CuCrZr .The custom can choice according themselves. If customer can provide us the drawing of mig welding contact tips, we can produce for you.